Part of raising the bar for meeting best practice and high quality childcare. Southwest of Dundas and Erin Mills, 2 min north of Clarkson GO Station, just north of QEW and Erin Mills. Parents/Guardians with a valid record number can sign up for our newsletter here. Health and safety is key: a Registered Nurse is on site daily. Programming includes French, Science, Music, computers and field trips or special visitors. Daily reports given for the overview of the child's day up to 30 months. Would you like to know if we have availabilty for your child or children. "Kaiden has loved his time at the Centre. The teachers are amazing and I know he had so much fun and was well taken care of. Thank you for everything." 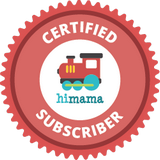 We have successfully launched our new parent communication portal - Hi Mama! Parents are loving it! We are expanding our facility!! We are also adding full day French programs. All programs include an Emergent & Montessori blended curriculum. All camp registration is open. Please contact the office for more information.